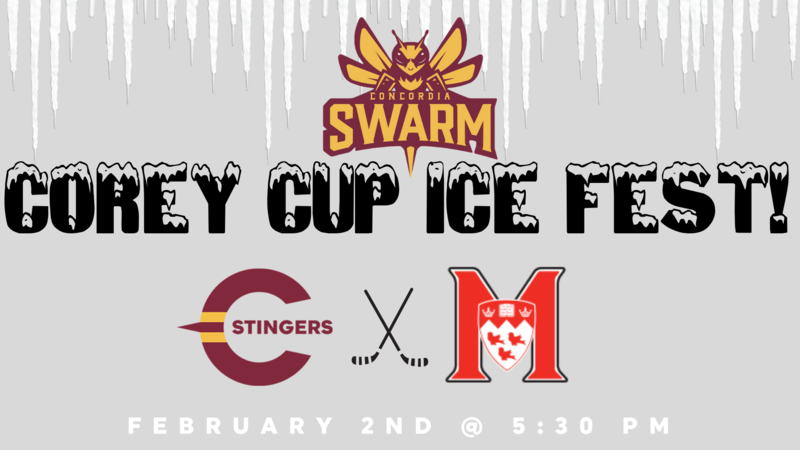 Come join the Concordia Swarm for lots of outdoor fun and games before the Corey Cup (Concordia vs McGill). There will be hot chocolate, maple taffy, music and much more! A $200 Subway gift card will go to the Stinger's fan wearing the most creative outfit. There are a limited amount of tickets so BUY NOW and don't miss out.